The Enslow Blog! | Enslow Publishers, Inc.
"The story maintains a pace that reluctant readers can easily follow. Readers will gain new insight of slavery and prostitution through the eyes of a child...Novice readers will enjoy the exploration of how social and religious practices shape Pakistan's way of life." This title is available from your preferred vendor, local bookstore, enslow.com, Amazon, and Barnes and Noble. This title is available in hardcover, paperback and eBook formats. Janie Baskin's acclaimed YA novel, Paint Me a Monster has just been released in softcover! To commemorate the event, we have a Goodreads Giveaway going on right now (see the bottom of the post), and we interviewed Ms. Baskin about the writing of Paint Me a Monster and about being an author. Check it out! Scarlet Voyage: When did you know you wanted to be a writer? Janie Baskin: Mrs. Burkham, my third grade teacher, had a class project—to make an anthology about the seasons. Each student needed to submit at least one poem; I submitted a dozen! I loved poetry and Mother Goose nursery rhymes, and this was my chance to create my own. After that, writing and drawing were some of my favorite playmates, though I didn’t formally write stories until high school. Each letter I wrote home from summer camp (and I wrote every day) or a thank you note for a gift, turned out to be a little story. Writing eventually took a back seat to illustrating and making art until my first illustrated book was published. Because I was interested in writing picture books, it seemed a natural progression to learn to write so I could both write and illustrate. SV: How did you begin your writing career? JB: As I mentioned, I was a fine artist and illustrator who loved to write. Both fields require similar characteristics to succeed: imagination, curiosity, attention to detail, and the willingness to work hard and be patient. After publishing as an illustrator, the challenge to become a skilled writer and author became the next rung to reach. I involved myself in a number of writing organizations, including a community writing program called Off Campus Writer’s Workshop ( OCWW) and an independent critique group. The workshop introduced us to published authors who shared their expertise, and encouraged participants to write and submit their work for critique. Joining The Society of Children’s Book Writers and Illustrators offered an array of opportunities to learn more about writing and the book world. At one of the OCWW meetings I heard that Vermont College offered an MFA in Writing for Children and Young Adults. It was the only school in the country that offered such a specific degree. I sent in samples of my writing, got accepted and worked like crazy cakes to learn as much as my brain could hold. SV: What inspired you to write Paint Me A Monster? JB: Good question. What I had learned about writing is that you just have to write- you have to start somewhere even if that start later takes a turn in a totally different direction. My advisor told me to “write what you know, dig deep and don’t be afraid to get messy.” I knew how fun and how hard it sometimes was to grow up in my family. I knew about life with a sister and brother, and I knew about going to an all girls’ school where completing homework assignments was like scaling Mt. Everest. SV: What is the one message you want readers to take away from Paint Me A Monster? JB: It’s my hope that readers will turn the last page of Paint Me A Monster” with more compassion and understanding than they had when they turned the first page. If I could give my readers anything it would be the message that “you are not alone”, that life isn’t about “doing it yourself “. It’s a collaborative effort; and because it is, what we think may be unworthy, or unable to change, can transform if we’re not afraid to ask for help. SV: How did you go about researching and planning for writing Paint Me A Monster? JB: Much of the book is based on reality and then fictionalized so the need for research was limited. When I came to something that needed to be researched, for example, what it is a high school counselor does, and how he might do it, I’d make a note that this information needed refining. This allowed me to continue writing without worrying about details. It’s easy to procrastinate during the writing process and not always so easy to return to the emotional and mental place a scene may require. For smaller items like the kind of car that might have been driven in a specific year, research would have been immediate. Sources for research included: reading the books my protagonist and her peers might have read, consulting with Chambers of Commerce for a variety of cities, speaking with professionals in health related fields, consulting books about issues such as eating disorders, and child abuse, reviewing my teaching and child development text books, and of course from thinking a lot about personal experiences and sometimes reenacting them. SV: Where there any particular obstacles you encountered while writing this book? JB: There were no particular writing obstacles; however, getting the time line accurate was a challenge. I did think about what effect the story might have on family members. I was concerned that people who know my family might erroneously assign truth to parts of the story. SV: What is your typical day of writing like? JB: Before I describe my routine, it’s important to say that much writing is done while I amble about. Perhaps I am taking a walk, driving, or reading for pleasure. I call this purposeful ambling. It’s the time ideas are generated, re-worked, and produce other ideas. I have two basic work scenarios. In the first, I wake up early, workout, return home, clean up (sometimes), eat something and write for about three hours. Then I break for lunch, look at e-mail, make calls that can’t wait, then go back to writing for three more hours. The second scenario occurs when a brainstorm happens while I’m sleeping. I get up, write it down, and because I am so excited, often go into my studio and flesh out the concept. I write until there is no more to say at the time. Then I get up and start the day. 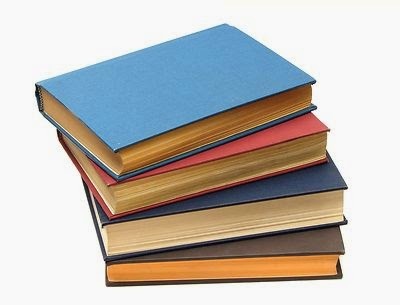 SV: What is your favorite YA book? JB: The Once and Future King by T.H. White. I first read this book when I was a freshman in high school and can still visualize Merlin, Wart (Arthur), Guenivere and the other unique characters in their full glory. This couldn’t happen if the writing and tale had not been so enchanting. The idea of growing younger and turning into a fish or bird in order to learn a lesson still astounds me. I still wish I could have Arthur’s experiences and a Merlin-like mentor. Giveaway ends September 21, 2014. The August/September 2014 issue of Library Media Connection has a review of the four titles in the Zoom In On... series. The following excerpt is a review of Bizarre Bugs, Body Invaders, Crime Scenes, and House of Horrors. "There is just enough information to satisfy youngsters' curiosity and give adults the shivers. All volumes are well-designed with short paragraphs explaining colorful illustrations. Short captions appear with all pictures." These titles are available in both library and paperback formats.The books can be purchased through your preferred vendor, local independent bookstore, Amazon, and Barnes and Noble. The Decatur Book Festival will take place August 29 through August 31 at Decatur square. Per information on the website, all of the booths for the 2014 festival have been sold out! The Festival even has a blog. There are more than 600 participating authors, including award-winners, best-sellers, and others who are just getting started. The 2014 Library of Congress National Book Festival will take place on Saturday, August 30, at the Walter E. Washington Convention Center. Honorary chairs for this event are President Barack Obama and Michelle Obama. If you will be in the area of either of these events, please attend! "The black, white, and red design give the book a slick, professional look...these books...provide a nuanced, well-organized perspective on the time period." Written for the middle school student, these titles explore pivotal moments during the Civil Rights Movement through gripping primary source photographs. Supplemented by text boxes and captions, the events and key people involved are explained. All of these titles are available in library, paperback, and eBook formats. They can be purchased through your preferred vendor, independent bookstores, Amazon, and Barnes and Noble. 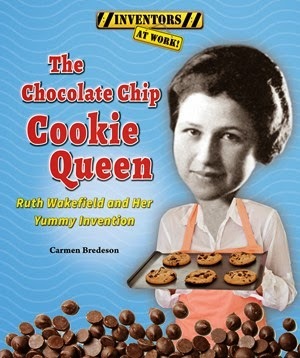 The Chocolate Chip Cookie Queen: Ruth Wakefield and Her Yummy Invention. 978-1-7660-4242-1. Library Media Connection (LMC) Highly Recommended. Series review: "Readers will learn about the lives of the inventors and what drove them." Geared toward the elementary reader, all of the titles in this series are available from your preferred vendor, independent bookstores, enslow.com, Amazon, and Barnes and Noble. They are available in library, paperback, and eBook formats. "This work provides vast opportunities to discuss and compare the ethical issues of a tech-dependent world vs. one dependent on natural resources. Readers will enjoy this epic time travel adventure." This title (and all titles in Enslow's Scarlet Voyage imprint,) are available through your preferred vendor, enslow.com, independent bookstores, Amazon, and Barnes and Noble. Giveaway ends August 31, 2014. Enslow Publishers: When did you know you wanted to be a writer? 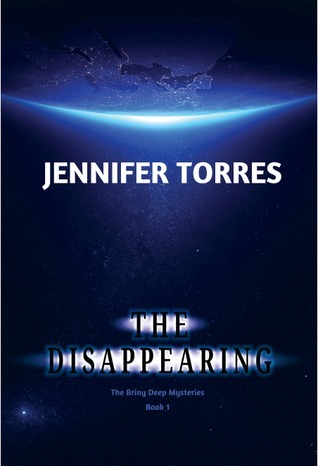 Jennifer Torres: Since I was very young, I’ve always loved getting lost in a good book. Reading really fueled my imagination. I especially loved to read mysteries and stories about fantastical places. As I got older the idea of creating my own magical lands through writing was so exciting I just had to pursue it. Enslow: How did you begin your writing career? Torres: I began writing in journals as a child. My friends and I would also write scripts and plays and then share them with each other to review – and sometimes to act out. After finishing school, I became a newspaper reporter and columnist. Over the years I worked as freelance journalist, writing for local and national magazines and newspapers. I’ve also written seven non-fiction children’s books, but THE BRINY DEEP MYSTERIES is my debut into middle grade fiction – and truly the kind of writing I’ve always wanted to do. Enslow: What inspired you to write “The Briny Deep” trilogy? 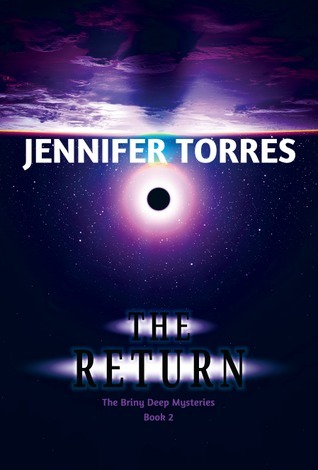 Torres: All the books I read growing up captured my imagination with incredible, edge of your seat stories that often involved secret passageways, doorways to other lands, or a compelling mystery seemingly beyond explanation. When I created the town of Briny Deep, I wanted to construct a place that had never existed before, populate it with a cast of amazing characters, and weave a spellbinding mystery that would engage and captivate readers in the same way I was as a child. Enslow: Where there any particular obstacles you encountered while writing this book? Torres: My ten year old was a bit of an obstacle because she wanted to use my laptop all the time to play her computer games. I tried to stick to an early morning schedule of writing – way before she woke up, so I didn’t have to wrestle her for it. Enslow: When do you write best? Torres: During the week, I like to get up early while it’s still dark outside and everyone else in the family is asleep. I brew a big cup of coffee and try to get a few hours of writing in. I feel most creative in the morning. But I also love to write when it’s raining outside or a storm is brewing. It really sets the mood for me. Enslow: If you weren’t a writer, what might you be doing instead? Torres: I would be a detective or a private investigator. I grew up wanting to solve mysteries. My childhood friend and I even opened our own “detective agency” – her dad built it for us in her backyard and we kept “files” on everyone in the neighborhood. Enslow: What is your favorite children’s book? Torres: I have so many books that I loved when I was growing up. My top three books would have to be; The Phantom Tollbooth, Harriet the Spy (she kept notes on everyone in her neighborhood too,) and A Wrinkle in Time. Middle Grade books are my very favorite genre. The kind of books with secret passageways, time portals, and hidden paths to magical lands are the best. Enslow: What kind of experience do you hope your readers have with “The Briny Deep” trilogy? Torres: I want them to go on a thrilling ride, filled with fun twists and turns through the town of Briny Deep. As they read the series they should feel like they are on an adventure – and a quest for answers that keeps them excitedly reading until the wee hours of the morning, and leaves them with a true awareness of how much magic and wonder can be found inside a book. 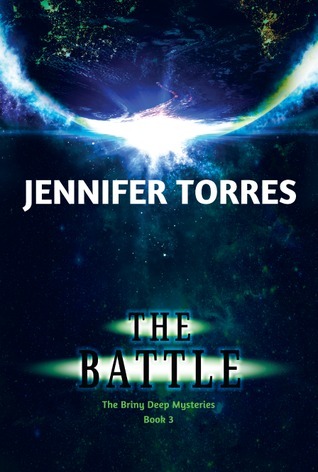 Look for The Disappearing, The Return, and The Battle on SpeedingStar.com, or with your favorite bookseller. "The poem's form, meaning, and poetic devices are thoroughly discussed line by line, using expositive, yet enjoyable, language and examples that allow for students' comprehensive understanding of the work." These titles are available in library, paperback, and eBook formats, and can be purchased from your preferred vendor, independent bookstores, enslow.com, Amazon, and Barnes and Noble. On September 1, Enslow's Scarlet Voyage imprint will release six of its hardcover titles in paperback. Paint Me a Monster, Spirit of a Mountain Wolf, and What We Did for Love were reviewed by Kirkus, with Paint Me a Monster receiving a starred review. Code Name Komiko was included as a Junior Library Guild Selection. Freak City and In the River Darkness were both reviewed by Library Media Connection. All of these titles are currently available as hardcover editions, as well as eBooks. They can be purchased through your preferred vendor, independent bookstores, enslow.com, Amazon, and Barnes and Noble. World War I started on July 28, 1914 with Austria declaring war on Serbia, and ended on November 11, 1918, with Germany signing an armistice with the Allies. Enslow's history series, The United States at War, includes a title on World War I, written by Zachary Kent. Life on the homefront, the introduction of modern warfare, destroyed empires, countries that disappeared from the map, and much more are included in this title. Other titles in the series include the American Revolution, the Civil War, the Vietnam War, and World War II. This entire series is correlated to the Common Core Standards. Available in library and eBook formats, these titles can be found through your preferred vendor, local bookstores, enslow.com, Amazon, and Barnes and Noble. Lost Republic, part of Enslow's Scarlet Voyage imprint and written by Paul B. Thompson, is available for pre-order and will be arriving in Enslow's warehouse soon. In 2055, the future has arrived and the past is departing as the last steamship in the world prepares to cross the Atlantic on its final voyage. Alongside, a great glittering solar-powered vessel sails, too—a beautiful ship filled with beautiful people. On board the steamer are eight teens—some dreamers, some desperate—for whom the last voyage of the S.S. Sir Guy Carleton is only a step on a longer journey. Soon the ship is far out to sea, and every layer of modern technology fails. Each teen must rely on their own special skills to survive—but where? What is the strange island in the Atlantic, where no island exists? Who are the men who speak an ancient tongue who capture the survivors of the stricken ship? With every breath a new mystery appears, and the desperate dreamers of the Carleton must find a way to live, or escape, the Lost Republic. This science fiction/fantasy novel for YA readers will be available from your preferred vendor, enslow.com, bookstores, Amazon, and Barnes and Noble. Going to be in the area of Lincolnville Beach, Maine, this weekend? The Beyond the Sea Book Festival will be taking place Friday, Saturday, and Sunday, July 25-27. New and secondhand books, as well as jewelry, textiles, food, stationery, home goods, and art, among other things will also be on display and available for purchase. As part of its fall 2014 list, Enslow is adding a series to its Speeding Star imprint. Hip-Hop Moguls, written for the reluctant reader, is a five-title series. The books in this series include a discography, as well as a list of awards given to each musician. These top-selling artists will keep your reader wanting to read and find out more! The musicians covered in this series include 50 Cent, Eminem, Jay-Z, Kanye West, and Ludacris. These titles are available in hardcover and paperback from your preferred vendor, independent bookstore, enslow.com, Amazon, and Barnes and Noble. Who was she? Ida B. Wells-Barnett was an important and influential journalist at a time when few women had careers. She wrote articles about unfair laws and how African Americans were being hurt. She brought violence against African Americans to the attention of the American people through newspaper articles. Written by Patricia and Fredrick McKissack, this elementary-level title is perfect for the beginning reader. This title, and the rest of the titles in the Famous African Americans series, are correlated to the Common Core College and Career Readiness Standards, and are available from your preferred vendor, enslow.com, local bookstores, Amazon, and Barnes and Noble. Congratulations to June's book raffle winner! We would like to congratulate Clay Center Carnegie Library in Kansas for winning our monthly raffle of free books!